Manley Performance high performance and racing engine parts have been powering winners since 1966. Pit Stop USA is The Online Motorsports Superstore! We feature Cylinder Head Bolts at low everyday prices. Check out the Recently Listed Cylinder Head Tools and Cutters. Check out the Recently Listed Guideplates. Pit Stop USA is The Online Motorsports Superstore! Manley Performance high performance and racing engine parts have been powering winners since 1966! Manley Budget Replacement Valves are better-than-stock valves. Manley Budget Performance Valves are for the value conscious engine builder. Manley Street Master Valves are excellent for mild performance engines. Manley Street Flo Valves are made with the same materials as Street Master, but with Pro-Flo under head design. Manley Race Flo Valves valves have been necked down in the port area to enhance flow. Manley Race Master Valves have straight, fully chromed stems and hardened tips. Manley Severe Duty aPro-Floa Valves have many features of the Race-Flo line, but are made of severe duty material. Manley Severe Duty Valves have double the tensile strength of imported valves. 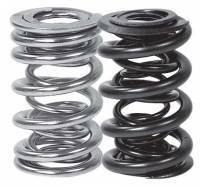 Manley NexTek Series Oval Track Valve Springs put an end to spring degradation. 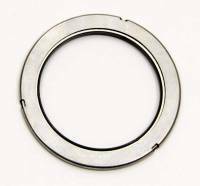 Manley 10A Titanium Retainers have the durability needed for racing engines. 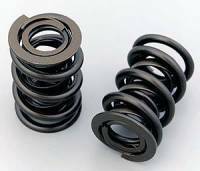 Manley Valve Locks are heat treated, black oxide coated steel. Manley 5/16" Chrome Moly Pushrods provide maximum strength. Manley 5/16" Pushrods are manufactured from 4130 steel. Manley Flat Steel Guide Plates are stamped for accuracy, and heat treated to reduce wear. Manley Raised Steel Guide Plates ensure exact stud location and pushrod alignment. Manley SportmasterA Connecting Rods are CNC-machined from quality 4340 forgings. Manley Wear Caps are 4140 alloy steel and heat treated. Manley Pushrod Length Checkers are a must for all racers and engine builders. 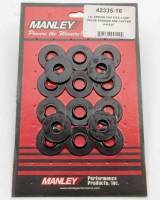 We also stock Manley Race Roller Timing Kits, Manley Roller Thrust Buttons, Manley Chevy Cam Lock Plates, Manley Superior Head Bolts, Manley Miracle Seal Epoxy and Manley Magic Seal Epoxy. 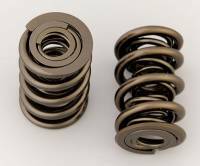 We feature Manley Performance products including Manley Valves, Manley Rods, Manley Valve Springs, Manley Retainers, Manley Valve Locks, Manley Guide Plates, Manley Timing Chains and Manley Pushrods at low everyday prices!